Our next beginners’ digital photography (part 1) courses are full day workshops designed to help you take control of your camera and get off the “all-auto” modes! We run at least one of these courses on nearly every month of the year at a variety of locations in Derbyshire, the Peak District and on the edge of Sheffield. Part 1 of our beginners’ level courses is suitable for all makes and models of digital cameras – from compact “point and shoots” to digital slrs. Each course is limited to a maximum of 6 people, and everyone attending will receive a printed sheet listing the most important settings (and explaining exactly how to set them) for their particular make and model of camera. Part 2 of our beginners’ level courses is where you can start to unleash your creativity! This course is the second part of our digital photography courses for beginners, and the ideal follow-on for anyone who has already been on one of our beginners’ digital photography (part 1) courses. On these full day outdoor workshops, we concentrate less on basic camera settings, and more on the use of shutter speeds and lens apertures for creative effect. All of the course locations are carefully chosen to take advantage of some of the most spectacular subject matter that is available at the particular time of year – waterfalls, wild flowers, heather moorland, autumn colours etc. Each course is limited to 6 persons, and places cost £85.00 each. Tripods and filters are available for you to borrow at no cost, if necessary. For more experienced photographers – or people who have already been on our beginners’ level courses – we run Peak District landscape photography courses throughout the year. These intermediate level courses are limited to just 4 people, with places costing £85.00 each. They concentrate more on creative aspects of photography – such as composition – rather than technical ones (those are covered more on our beginners’ level digital photography courses). 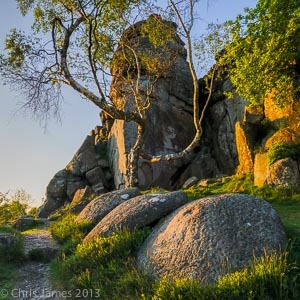 Our landscape photography courses all involve a full day’s outdoor photography, in stunning locations in Derbyshire or the Peak District, chosen to be at their best at the particular time of year. 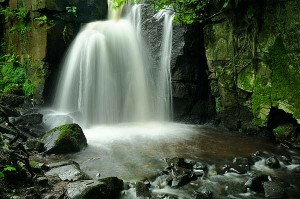 They almost always include some waterfall or moving water photography, as well as other popular subjects such as abandoned millstones and gritstone edges, wild flowers, heather moorland and lead mining remains depending on the location and time of year. Tripods and filters are available for you to borrow at no cost, if necessary. If you would like to be kept informed of all the courses we are running, you can also sign up to our newsletter, and you will be notified as soon as new course dates are announced.